The Roadless Trip is an urgent and irresistible invitation to imagine a positive future, together. For Sarah Woods and her teenage daughter Lil, imagining the future was tough. With climate change, the recession, the rise in food banks and zombie apocalypses, it all seemed pretty bleak. So in the spring of 2015, together with their production manager John, they travelled the breadth of the UK to ask a whole host of other people what their vision of the future is… because between us, maybe we can think of something better…. The Roadless Trip is about this journey and the people they meet along the way. Featuring interviews from five counties, 25 different community groups, and one epic journey on the M6 in an old ambulance called The Tripper. Using a mix of performance, film and Saturday-night style gameshow games, The Roadless Trip is a show that promises to lift you up even when you’re broken down. 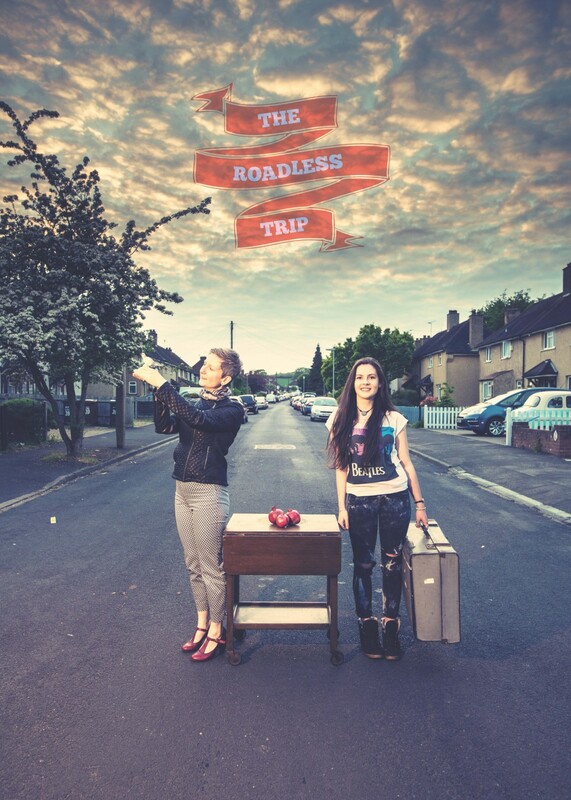 Directed by Emma Bernard, The Roadless Trip is supported by the Ashden Trust, Arts Council England and Arts Council Wales and produced by Artsadmin. See the show and then enjoy the Fireworks Spectacular! This event happens alongside the Fireworks Spectacular taking place in Lancaster Square from 5.30pm – 8pm, which includes food stalls and mix of performances and live music from student groups. The Magic and Circus society will also be demonstrating their fire spins throughout the night. Why not grab a bite to eat and check out the early displays in Lancaster Square, catch the show in the Nuffield, then head outside for the fireworks at 7.45pm? For the first half of 2015 The Roadless Trip travelled to 25 different community groups across Aberystwyth, Birmingham, Kent, Lancaster and Warwick. After the show, each member of the audience was invited to contribute their own thoughts, reactions and stories in The Roadless Trip film studio known as “The Tripper” - which happened to be in the back of a specially converted ex-ambulance. Then, over the summer of 2015 Sarah incorporated the responses from each of these community groups into a new version of The Roadless Trip that you’ll see here at Lancaster Arts. In Lancaster the show went to Halton Mill, Lancaster and District Homeless Action Service, Lancaster University Senior Learners Group (the performance was shown in one of the lecture theatres in Fylde, which is where the senior learners hold many of their activities) and Barton Road Community Centre. Sadly the performance at the Neuro Drop In Centre was cancelled since “The Tripper” broke down several times on the M6! This fateful journey has become a central feature of the new show.